A magical story that grabbed me from page one but left me wishing for more in the end. This book sat on my shelf for at least a year before I finally picked it up as a part of the Make Me Read It Readathon. Why didn’t I read it earlier? Who knows. I’m glad that the readathon pushed me to read it, though, because it is a pretty great story. I loved Alina’s character. She’s a girl who has been told she’s average too many times to believe anything else, even when presented with undeniable evidence otherwise. She is terrified of being singled-out, but at the same time, she is dying to be treated like she is special. The paradox created a complex and relatable character, and it was because of her voice that I was drawn into the story. The world-building was the second part of the story that grabbed me. Magically gifted creatures called Grisha live side-by-side with the human world, using their defending the nation from constant war. Bardugo has obviously put a lot of time and energy into creating an unforgettable and nuanced setting. I loved the magic and the politics that surrounded it, and the Grisha palace and training grounds were amazing landscapes for Alina’s story. Unfortunately, I felt like Bardugo was holding back on explaining her world-building. She threw around a lot of terms and names that showed that she had created a complex world, but then she never elaborated on a lot of them. There were dozens of kinds of Grisha, but few were explained. I appreciate authors trying to avoid an info dump situation, but I found myself very disappointed that I didn’t get to enjoy the richness of the world-building because it hadn’t been explained. I had the same slightly unsatisfied feeling about the characters of Shadow and Bone. Mal was Alina’s childhood friend who made life worth living in the orphanage that they both grew up in. Both of them were part of the army, him a skilled tracker and her a mapmaker before she gets swept away into the Grisha world. I loved the bond that Mal and Alina shared from their childhood; it was palpable and sweet, unlike most of the guy-girl friendships that exist in the YA world. On the other hand, I didn’t love Mal as a love interest. He was fine—great actually—but I never got that “oh my God they have to be together” feeling that I want from romances. Major parts of the book would have affected me more if I cared more about Mal, but I just never fell in love with him. The Darkling was an awesome character. He’s the classic hot dark lord trope, and while he wasn’t the most unique character initially, he transformed into a startling complex character. His relationship with Alina was one of the most addictive parts of the plot, and I loved slowly finding out more and more about his true motivations and powers. I did wish that other Grisha characters had been given more depth. Alina makes one friend, and while she is given layers and personality, the other Grisha that Alina meets are left one-dimensional. Again, I feel like the story could have been a lot more powerful if the side characters had been more compelling. Nevertheless, I was swept away by the story and I read Shadow and Bone in one day. The plot was paced well—not so fast that I didn’t have time to think, but never slow enough to lose my interest. I loved the plot twists. 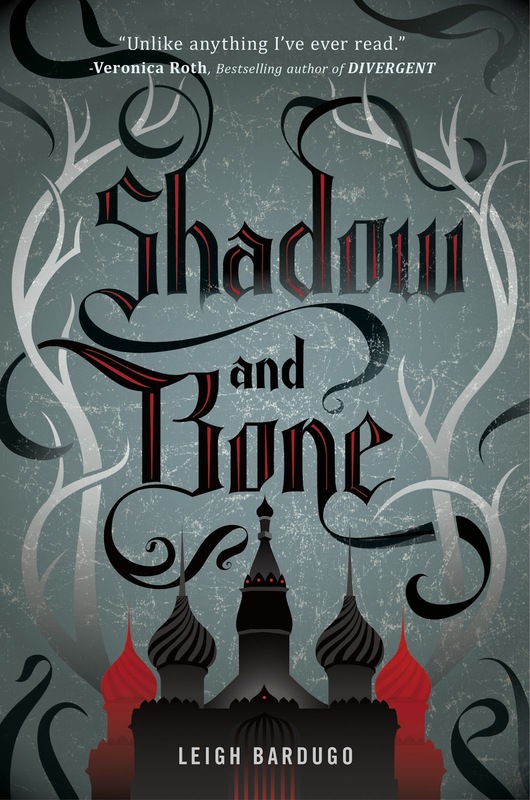 Though Shadow and Bone left me wanting more, I trust that the series will improve. The foundation of the series is pretty solid, I love the main character, and the magical world clearly has more to give. I am excited to read more of Bardugo’s work. Yay! I’m glad you liked it. I hope you do persevere with the series because, in my opinion, it just gets better and better. I’m hoping that when she’s done with the Six of Crows duology she’ll continue to write books in this series because I just want to know more and more! Oh, wow, you read this book in a day? Speedy reader! I’m looking forward to reading this one too. Lol thanks 🙂 I definitely recommend reading this book. Though it wasn’t perfect, it was a great way to spend the day!